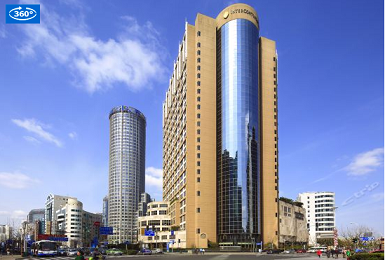 InterContinental Shanghai Pudong Located in the heart of Lujiazui Financial and Trade Zone, InterContinental Shanghai Pudong features a short 5-minute stroll from Century Avenue Subway Station (line 2, 4, 6 and 9). 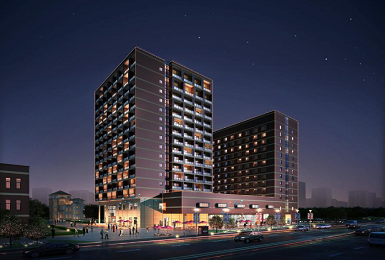 The first Yaohan Department Store is 7 minutes' walk away. It features an indoor swimming pool, a spa center with relaxing sauna and 2 on-site restaurants and a bar. Crowne Plaza Century Park Shanghai The Crowne Plaza Century Park Shanghai (Shanghai Shiji Huangguan Jiari Jiudian) is located in the heart of Pudong, with convenient access to Pudong International Airport and the Lujiazui financial district and just a five-minute drive from the Shanghai New International Expo Center.This five-star Shanghai hotel features a cocktail lounge and three restaurants offering international buffets, authentic Shanghainese cuisine and Japanese delicacies.The hotel boasts an extensive range of business services including tailor-made meeting programs. All six meeting rooms and two ballrooms have natural light and are designed to accommodate 10 to 500 people. Audio-visual systems, broadband internet access, LCD projectors together with trained technicians ensure that conferences and events go smoothly.For recreation, guests can work out in the fully equipped fitness center, take a dip in the indoor pool or get pampered at the spa. 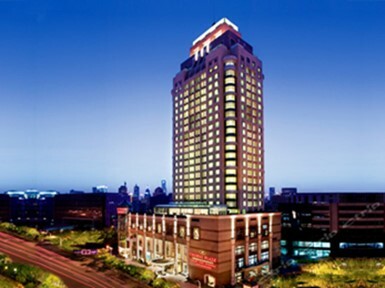 Holiday Inn Shanghai Pudong Kangqiao Just 20 minutes' drive to Shanghai Disneyland, Holiday Inn Shanghai offers well-appointed rooms with bathtubs and an iPod docking station. Also, free shuttle bus to Xiuyan Subway Station (Line 11) is offered where you may easily reach Shanghai Disneyland by metro. The hotel features a large indoor pool, tennis courts and several dining options. 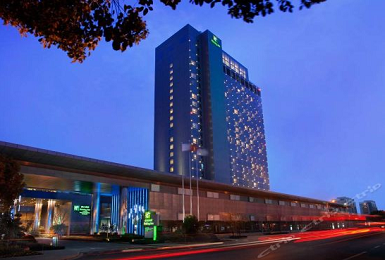 Holiday Inn Express Shanghai New Jinqiao Holiday Inn Express Shanghai New Jinqiao is located in Pudong New Area, only 801 m from Jinjing Road Subway Station (Line 12). Free WiFi access is available in all areas. Parkview Hotel Shanghai Designed by renowned French architect Paul Andrew, the Parkview Hotel (Dongyi Dajiudian) is adjacent to the Oriental Art Center in the heart of Shanghai's glitzy new financial district of Pudong. All guestrooms offer panoramic views over the city. 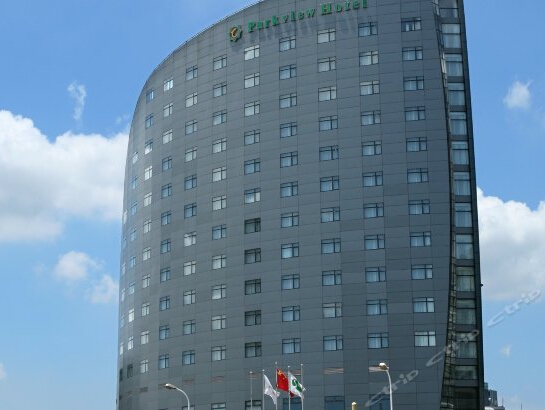 The hotel is just a seven-minute walk from the Science and Technology Museum Metro Station, a 10-minute drive from the Shanghai New International Expo Center and a 30-minute drive from Pudong International Airport.